protect the special things that make the Tasmania we all love. Join the campaign to ensure Tasmanians have a strong role in planning decisions and shaping the future of the state by signing up for our email updates. 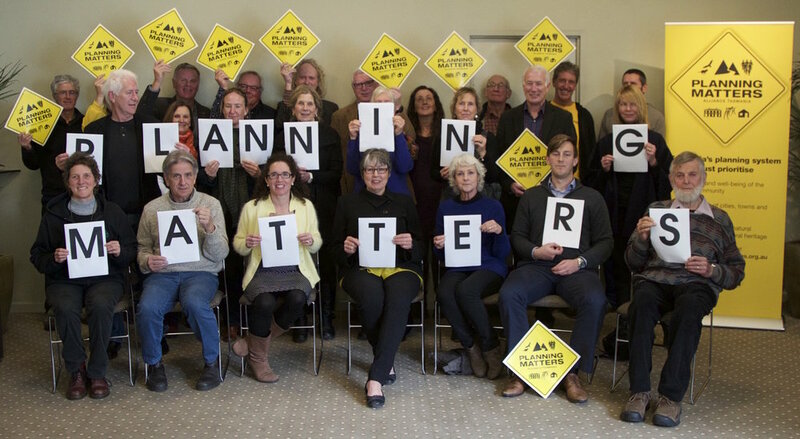 The overwhelming majority of Tasmanian council candidates who took part in a planning survey believe councils should have greater capacity to protect local character, amenity and places important to communities. During the 2018 Tasmanian election we ran this advertisement to let all Tasmanians know that their voice, sunshine and privacy is at stake under new planning laws. Visit our crowd funding page, chip in, spread the word and, most importantly, stand up for your back yard! The ad cost between $75 and $700 every time it aired on prime time TV. Your generous donation will be hugely appreciated at this critical time. Our second TV advertisement for the 2018 Tasmanian election shows how ordinary Tasmanians can be silenced by the Liberal Government's new planning laws, whether about over-development in national parks or where you live. It's scary. 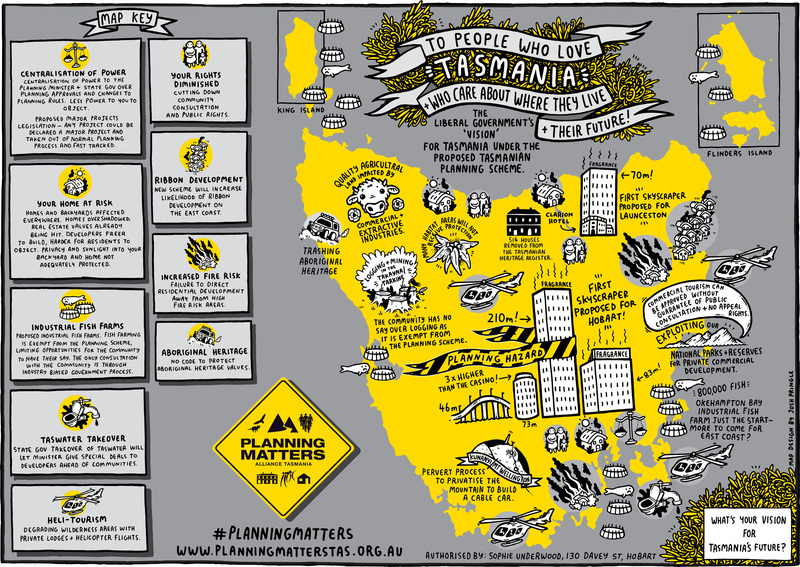 Thanks to the talents of Tasmanian illustrator Josh Pringle we can reveal how the Liberal's new planning laws would damage Tasmania's precious way of life and where we live. The Tasmanian Planning Scheme is creating a planning hazard, and so we've printed 10km of hazard tape to help local groups get creative at events and activities, online and in the media. Don't let planning bulldoze your rights. Get your re-useable hazard planning tape now and start getting creative! 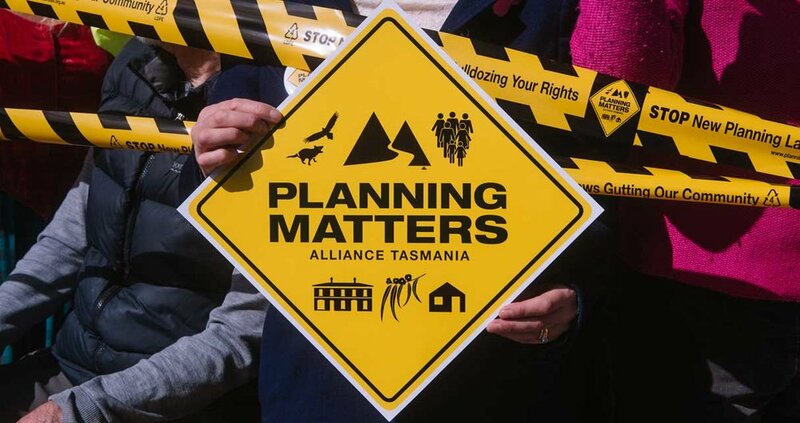 The Planning Matters Alliance Tasmania (PMAT) is a growing network of 60 community groups from across Tasmania, united with a common concern over the weakening of the state’s planning rules. The Tasmanian Planning Scheme is set to come into effect in 2019 and PMAT is committed to making it better. The level of collaboration and solidarity emerging within this planning campaign and the groups involved is unprecedented in Tasmania and crosses community group genres. Epitomised by the conflict over high rise hotels in Hobart, but equally relevant to our towns and backyards, our skylines, our coastlines, our heritage buildings and places and our wild and inspiring landscapes, the scheme will impact all the things we love about Tasmania. Local councils are preparing draft Local Provisions Schedules and will release the drafts for public comment for at least 60 days during 2019. Any person can make a representation about the proposed LPS during the public comment period. The Tasmanian Planning Commission will then consider the draft LPS, any comments made by the public, and any response from the Council before deciding whether to make the final LPS (with or without modifications) or to re-advertise. This insightful article by Andrew Ricketts, ‘Meander Valley’s Draft Local Provisions Schedule – The First within the Tasmanian Planning Scheme’, November 2018, provides a very useful overview of things to come and some of the fundamental issues with the TPS. Read here. → Read our briefing paper for more details. 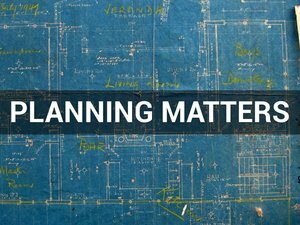 Planning is vitally important to a wide cross section of the Tasmanian community. 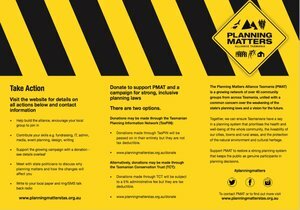 From a standing start, PMAT has put the issue on the agenda and made it an election issue. Please read our briefing paper which outlines the implementation status of the Tasmanian Planning Scheme and some of the key issues associated with the scheme. 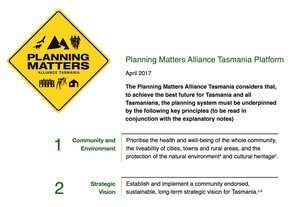 The Planning Matters Alliance Tasmania held a press conference on July 6, 2017 to launch the campaign. See our media release here.